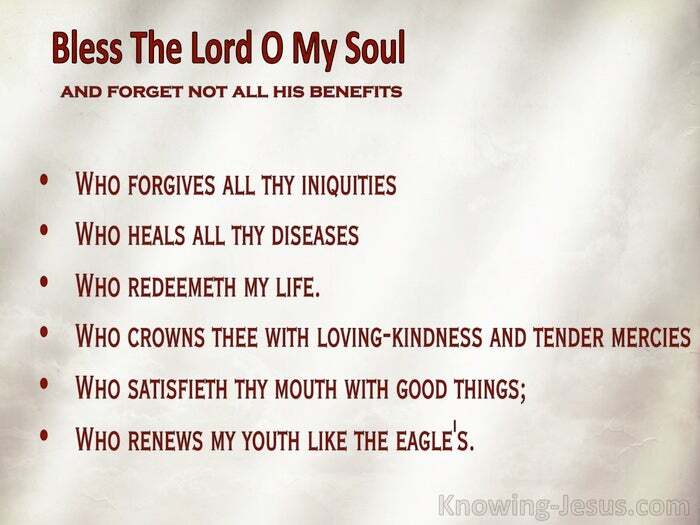 Bless the Lord O my soul… and forget not all his benefits. Who forgiveth all thine iniquities; Who healeth all thy diseases; Who redeemeth my life. Who crowns thee with loving-kindness and tender mercies; Who satisfieth thy mouth with good things; Who renews my youth like the eagle’s. I have the fullest and most complete assurance that God will supply all that I need. He will provide all my needs, in Christ – according to His great goodness. How can I be so sure and how can I say this with such assurance and such authority? Because God’s Word is true. God’s word has never failed in the past, God’s word has never failed in the present and God’s word will never fail in the future, for He is faithful and true. A benefactor is one that supplies the means for a genius to do his work unhindered and a musician, master or artist is thus enabled to concentrate on his creativity. A virtuoso is equipped to centre unhindered on his inspirational work until the final stroke of the magnificent masterpiece is concluded. Like the musician, the master, the artist or the virtuoso we too have a heavenly Benefactor, and like them we too can be inspired to carry out the work He has for us to do. But God will equip us, in Christ, to do the particular work He has given us to do… so that the work and service He has prepared for us, will be well-pleasing to Him. But God’s benefaction and His gracious provision to us covers more – so much more, for we are called by Him to be His children and to grow in grace –in Him. We are then commanded to be His soldiers and to enter into spiritual war. I may be in the early flush of youth or I may be advancing in years… I may be invalided on a couch of sickness or I may be in the heyday of health… I may be imprisoned in a lonely cell or free to roam the wide continents – but He has a plan for each of us, and He plants or transplants us as He sees fit. And He calls each of us to be faithful – in the place where He has planted us. What is so strange is that many are called and yet so few chosen? Well, it seems that His call requires a trust and it requires obedience. It needs an acceptance that even in the storms and stresses of life, God will provide. It needs patient endurance, even when I feel I am a failure or unimportant and it needs an understanding that the gracious gifts of our heavenly Benefactor are not of this world – and though He will certainly supply all our needs here and now, according to the riches of His grace – God is working with eternity in view. God’s supply is for both time and eternity. IN TIME:- (either in this age or in the millennial age) and in ETERNITY:- (in the timeless ages that are to come). All His benefits, in time and in eternity are still future and we are called to trust Him and obey Him – like so many saints of past ages. There is an extensive register of faithful men and women who are listed in the the book of Hebrews, chapter 11, and each one obtained a good report from God because of their faith – even though that had not yet received His promised reward. 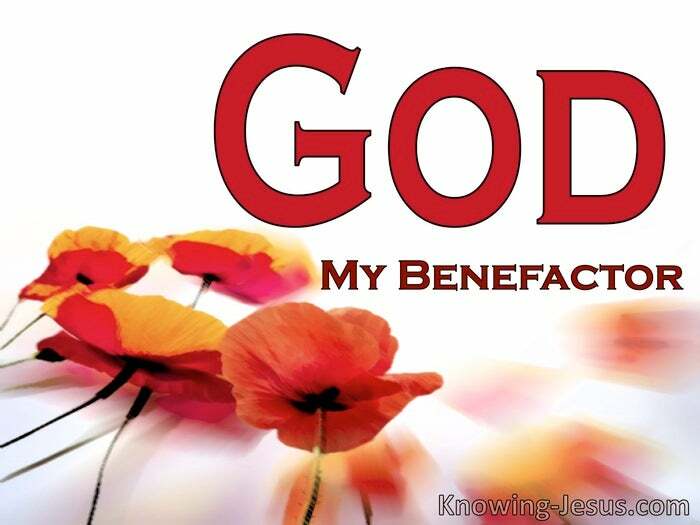 Does that mean that God, their Benefactor withdrew His promise.. NO – Never. But like the chosen in this generation, this faithful cloud of witnesses will enter also the city which hath foundations, whose builder and maker is God. Let us praise and thank our faithful God and join our faith with theirs as we pray, Thy kingdom come – Thy will be done, in my life and in yours.